Actor and columnist Juliette Arnaud, 44 years old, came to paris at the age of 21 to enrol in Florent's class. When she is sexually assaulted, and deeply shocked by the accusatory response of a fellow acting student, she becomes conscious of the extent of mysoginy in society. SInce then, she attempts to understand the contempt in which women are often held, and hated, even. 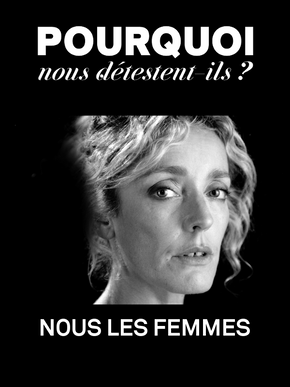 She unearths the most frequent clichés that are attached to women and meets with a number of people who work for gender equality: historian Adeline Gargam, members of «Stop street harassment», writer Virginie Despentes, historian Maurice Daumas, Edith Maruejouls, gender geopgrapher, and Chris Blache, a social ethnographer.